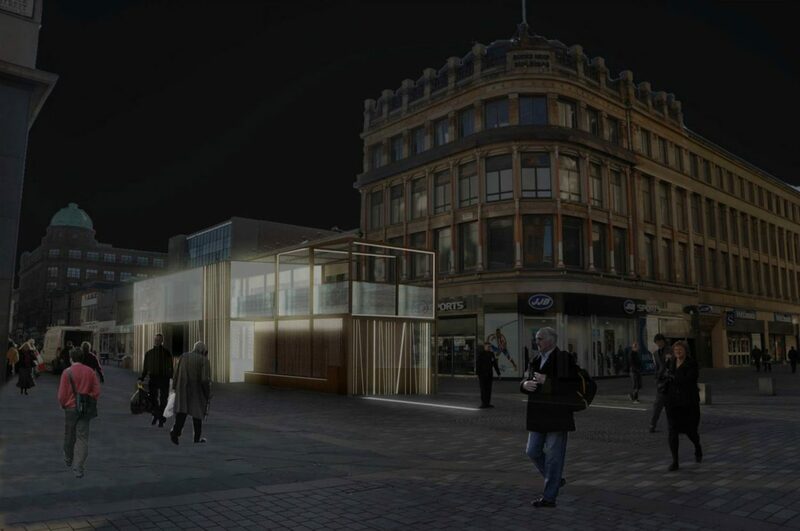 The project sits within the pedestrianised portion of Argyle Street within Glasgow’s city centre. 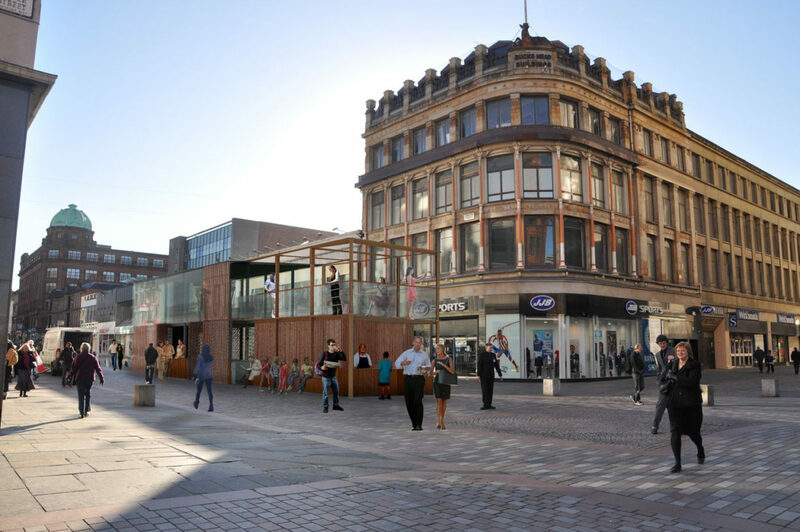 Collective Architecture’s design for a new street cafe and associated market kiosks were commissioned by Glasgow City Council’s Development and Regeneration Services to reinforce this important area of the city with a distinct local identity. The site sits at an important threshold between the city’s shopping district, artists’ quarter, Merchant City and riverfront. The site strategy took this into account and created key nodes to help better connect important city districts within close proximity to Argyle Street. 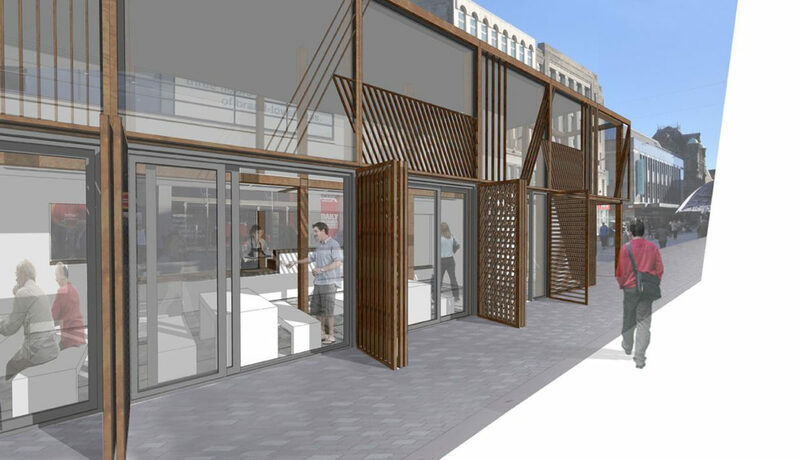 The design concept responds to Argyle Streets importance as an East - West route through the city, with the introduction of linear double height structures located along the central reservation of the street. The largest of the four structures is the cafe which is located at the centre of the street, a second storey gallery and terrace level have been created to offer views above the retail frontages towards the adjacent Alexander Greek Thomson Bucks Head Building. 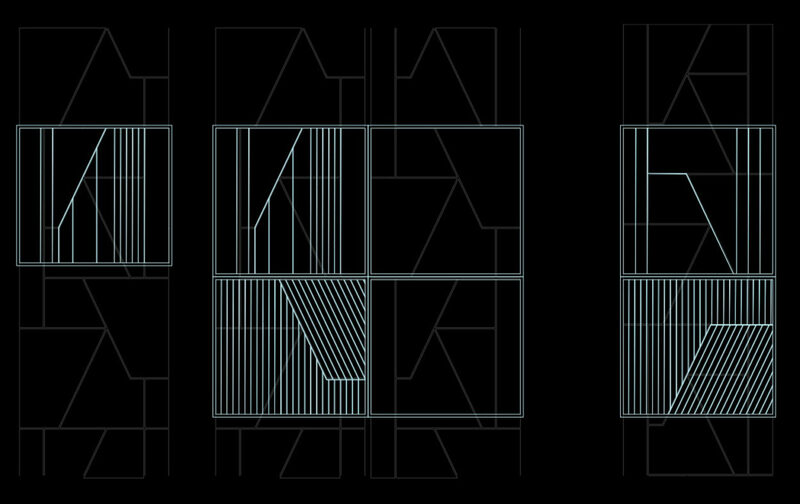 Window and column proportions, which are evident across the facade of the Bucks Head building, have been applied to generate the proportions of the structural modules which form the cafe and kiosks. 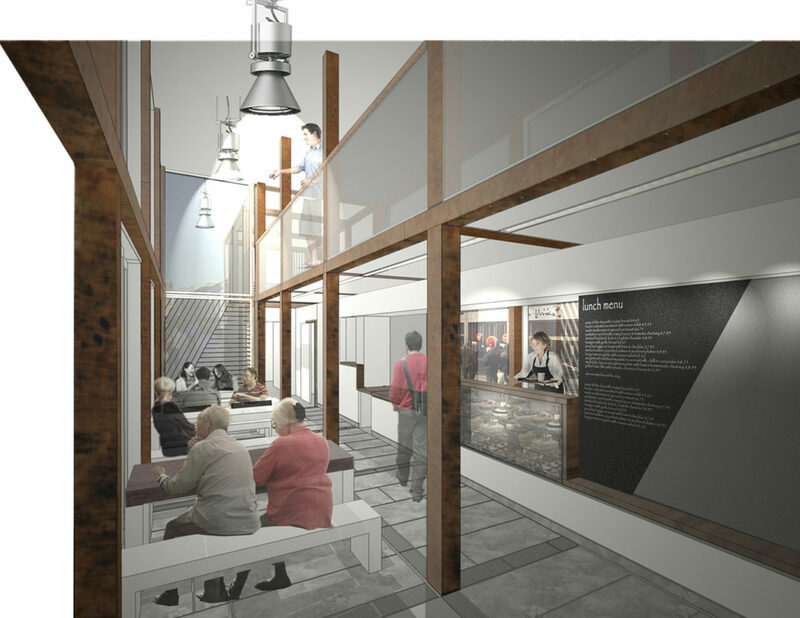 The lightweight and modular structural design has been progressed in association with David Narro Associates with costs being provided by Brown and Wallace. Consideration had to be given to the appearance of each structure throughout the course of a day. Elevations are predominately glazed to ensure structures appear translucent and to maintain views across the street. 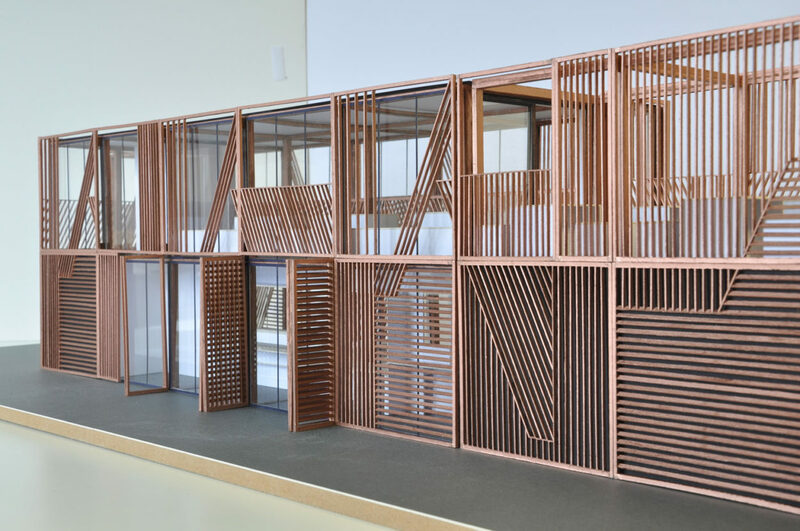 Bronze louvred panels will provide a protective secondary skin and the rhythm and placement of each louvre will allow the structures to become dynamic features within the street when illuminated each evening. Detailed design of the louvred panels were developed in collaboration with internationally acclaimed Glasgow based artist Martin Boyce via the Common Guild.